The Tudor gifts offered here are a great series of small yet functional collectibles that are perfect for history buffs and Tudor dynasty enthusiasts. 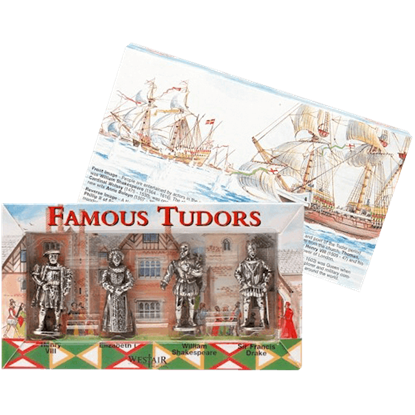 Our Tudor gifts feature great detail and historical accuracy in their design, ensuring that each piece serves as a miniature history lesson. 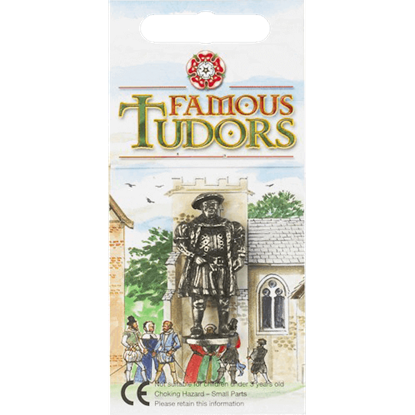 Some items depict royalty or elements of the monarchy, such as King Henry VIII, Tudor coins, or the royal seal, while others display designs from the general historical period, like our Shakespeare collectibles. We carry sword letter openers, quill pens, pencil toppers, pewter miniatures, keychains, pin badges, thimbles, and other knick-knacks perfect for enjoying the style of the Tudor period. Take a moment to browse, and you are sure to find excellent stocking stuffers and historical prizes to suit your needs. Before the late 1550s, seal top spoons are a relative rarity. After that, they became very popular until about 1670. 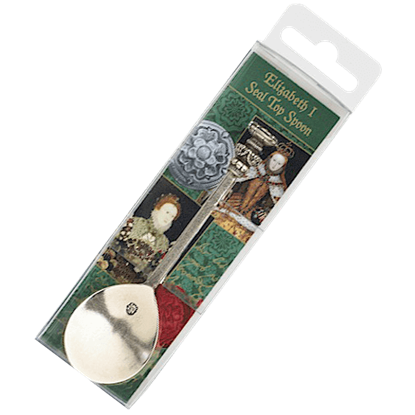 This Elizabeth I Seal Top Spoon is modeled after one that might have been used by the Queen Elizabeth I, herself. 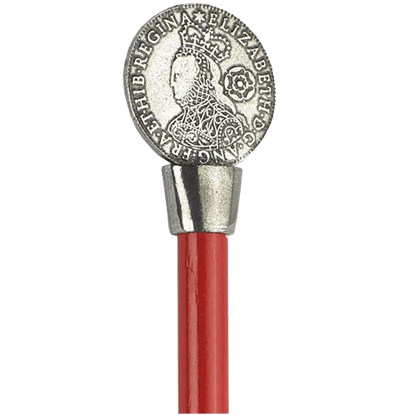 This Elizabeth I Sword Letter Opener has a steel blade with hand cast metal handle. 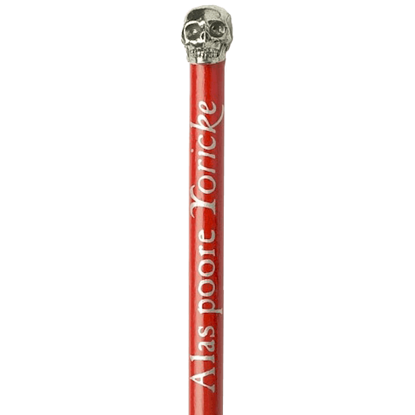 The letter opener is plated in antiqued silver to highlight the detail. 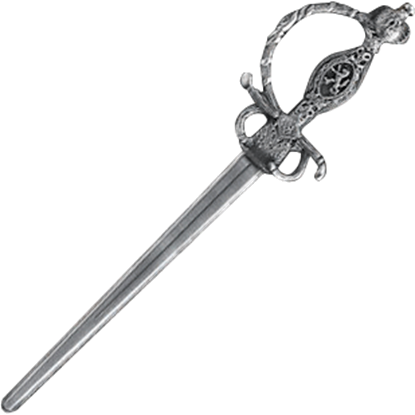 This rapier letter opener is supplied in a clear box with an information card. The bust of Henry VIII is made from lead-free pewter and is supplied on a quality key-chain. 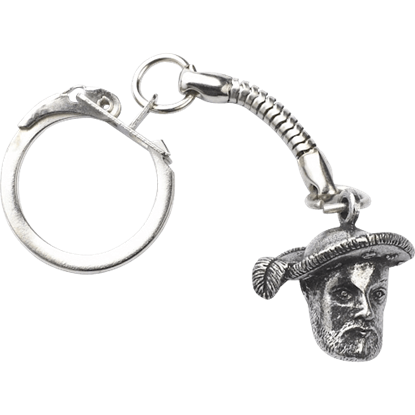 The Henry VIII Bust Key Ring is a great gift idea for that collector or history enthusiast in your life or everyday use for yourself. Each of the figures depicted in this Set of Four Tudor Figures lived and flourished during the Tudor Age (1485 and 1603). These figurines come in a full-colored box, which features historical information on the back and the inside flap. 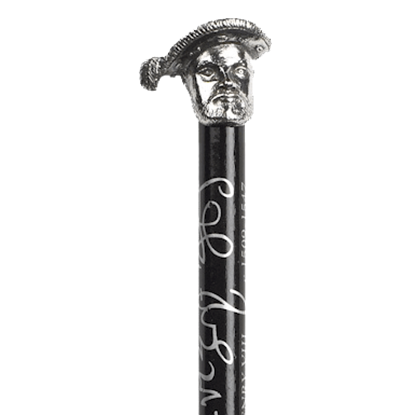 This all-metal figurine is the Shakespeare Figure, which depicts one of the most well-known playwrights of all times. The statue comes attached to a colorful card, which features information about the four figures in this series. This impressive all-metal figurine is the Sir Francis Drake Figure, which depicts a sailor, a privateer, and a famous English hero. The statue comes attached to a card, which features information about the four figures in this series. This reproduction Henry VIII Groat is made from lead-free pewter and is supplied on a quality keychain. 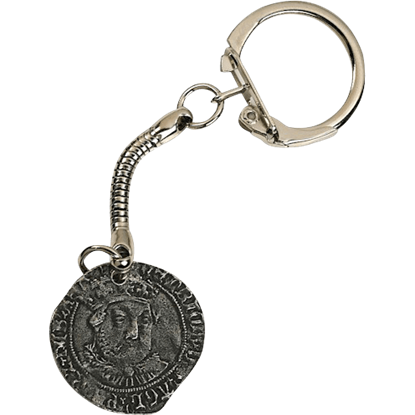 The Tudor Coin Key Ring is a great gift idea or collectible for fans of the War of the Roses and Tudor England.